Democratic Republic of Congo (DRC) President Joseph Kabila said long-delayed polls will happen on Sunday amid uncertainties on how prepared Congo is to hold the election. Polls, which were first scheduled to take place in 2016, have been delayed twice already and the country’s electoral commission (CENI) cancelled the December 23 vote following a fire at one of its main warehouses in Kinshasa, as well as the ongoing ebola outbreak in the eastern part of the country. 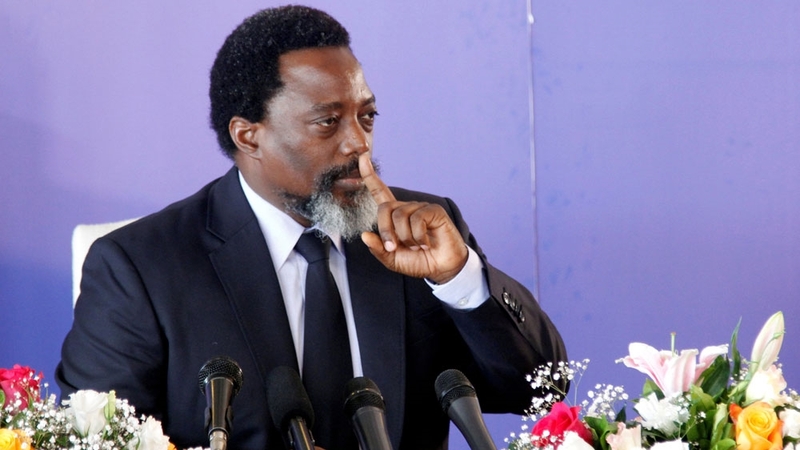 “The date has now been fixed, the 30th of December, which is in two days time, and I believe that elections will take place on that particular date,” Kabila told Al Jazeera. On Wednesday the electoral commission said voting will not take place in at least three cities citing ebola and ethnic violence. Kabila, who has ruled the vast mineral-rich country for more than 17 years, denied claims by the opposition that polls have been delayed to extend his stay in office. “The composition of the electoral commission does not give any advantages to any one composant – meaning you have the majority [ruling party], you have the opposition which is represented in the commission, and of course the civil society. The issue (that) the electoral commission been biased is nonsense.” Kabila added. Elections have been delayed because the registration of the more than 46 million voters took two years to complete, the president added. Meanwhile, angry protesters burnt tyres, ransacked an ebola centre and blocked the main road of the eastern city of Beni in North Kivu. The demonstrators were angry that CENI said polls will take place March next year in the city. Voting has also been delayed in Butembo in the same province due to the ongoing ebola outbreak. The outbreak, which was declared in August, is the second deadliest in history and has claimed the lives of more than 320 people. Voting has also been delayed in the western city of Yumbi in Bandundu province due to ethnic violence that has left more than 100 dead people in the last month. Despite the violence President Kabila, 47, said campaigning has been largely peaceful. “An electoral process is always a sensitive issue. During an electoral process you have tensions, the most important thing is to have the necessary police force that is well equipped in order to deal with that. At one given time we did not have that capacity but we have been building that capacity,” he said. Kabila succeeded his father – a former rebel leader – who was assassinated in 2001 by one of his bodyguards. As many as 21 candidates are competing for the country’s top job. The electoral commission said official results of the presidential poll will be announced on January 15. The DRC, a country of more than 80 million people, has not seen a peaceful transition of power since it gained independence from Belgium in 1960. Meanwhile on Thursday, the central African country said it would expel the European Union ambassador Bart Ouvry after the EU renewed sanctions against government officials. Earlier this month, the EU renewed sanctions against 14 officials including the ruling coalition’s candidate for the presidential elections, Emmanuel Ramazani Shadary. Sanctions were first placed two years ago after a violent crackdown on street protests and repeated delays to the elections. Kinshasa has refused to accredit election observers from the European bloc.